Since China promulgated the policy of prohibition of importing waste plastics raw material, the shortage of PET material for fiber factory getting more and more serious(the new policy allowed the import from 1st, August). One solution is processing the PET flakes into pellets and then export to China. 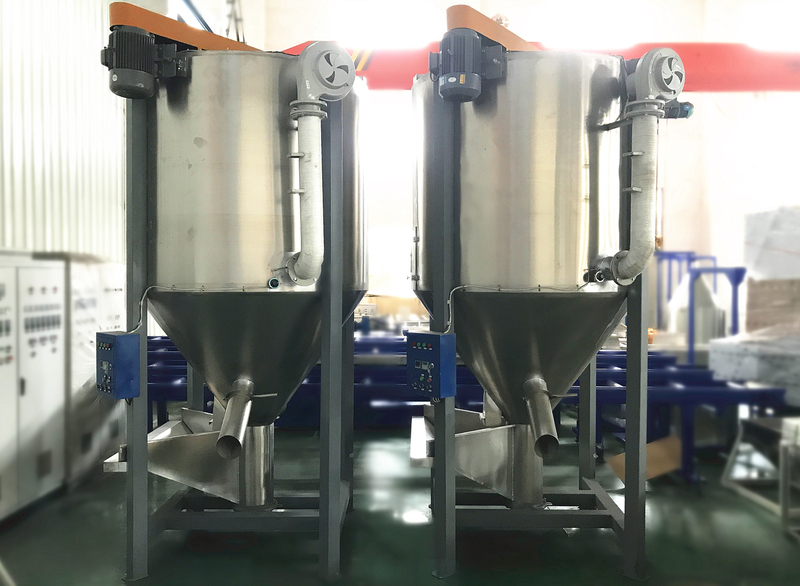 During this process, there are two points we should care: the IV(intrinsic viscosity) of pellets and the color of pellets. The IV requirement: bottle grade 0.7-0.85(mineral bottle >0.7; carbonated drinks bottle >0.8); fiber spinning grade 0.6-0.68(short fiber >0.6; long fiber>0.65). The color requirement: transparent or a little dark/yellow. The IV will affect the final usage of pellets and price(due to the characteristics of PET, the IV will drop down every times heating). The color will affect the final product quality and price also. There are many shortcomings in the pelletizing process of the single screw extruder. The most important is IV of pellets, only 0.4-0.5. 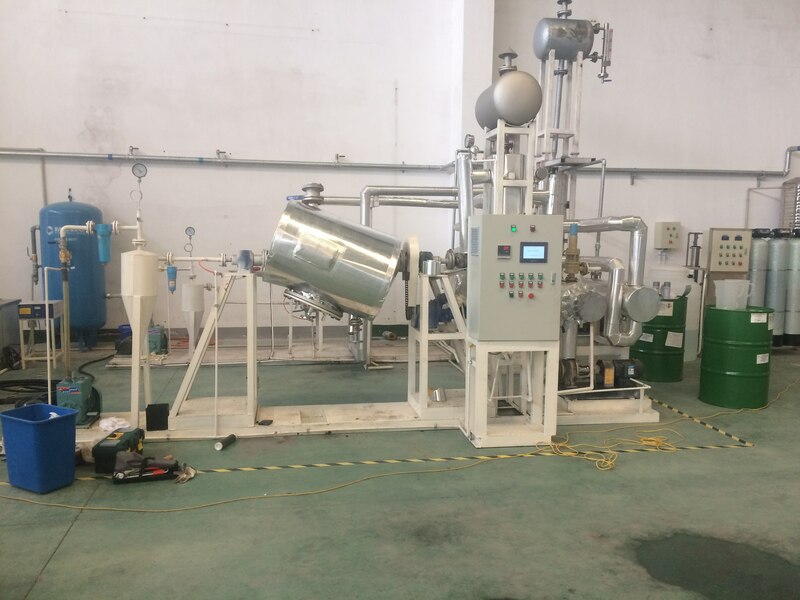 Secondly, due to the lack of effective degassing unit, the single screw extruder need to work with flakes that the moisture less than 150ppm, and easy to form a bubble inside the pellets. The flakes need to crystal drying first and then feeding into the extruder. Thirdly, the rotary speed of single screw extruder is much lower than twin screw extruder, the degradation of raw materials is more than 20%. And comparing with twin screw extruder, the single screw extruder needs to consume more energy at the same output. 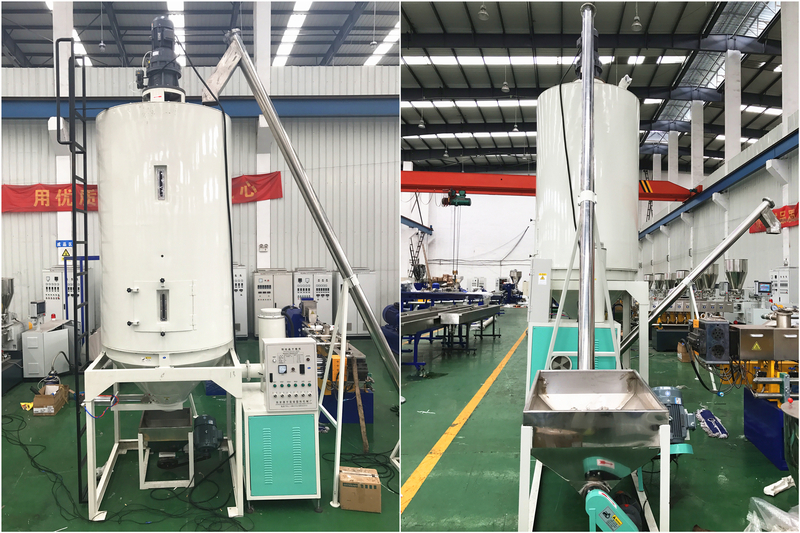 It can be used for both the flakes drying before pelletizing or the pellets drying after the extruder. 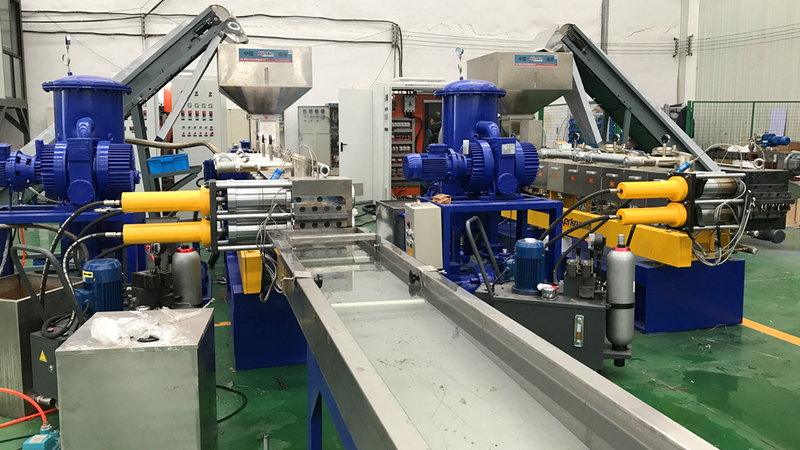 It can be used for both the flakes drying before pelletizing or the pellets crystallization & drying after the extruder(for the following process using). It’s using for increasing the IV of pellets, up to maximum 1.o. The more moisture content of pellets, the longer it takes; The more IV that needs to increase, the longer it takes. The SSP system is necessary for making the preform with this recycled pellets. It also has the crystallization and drying function.